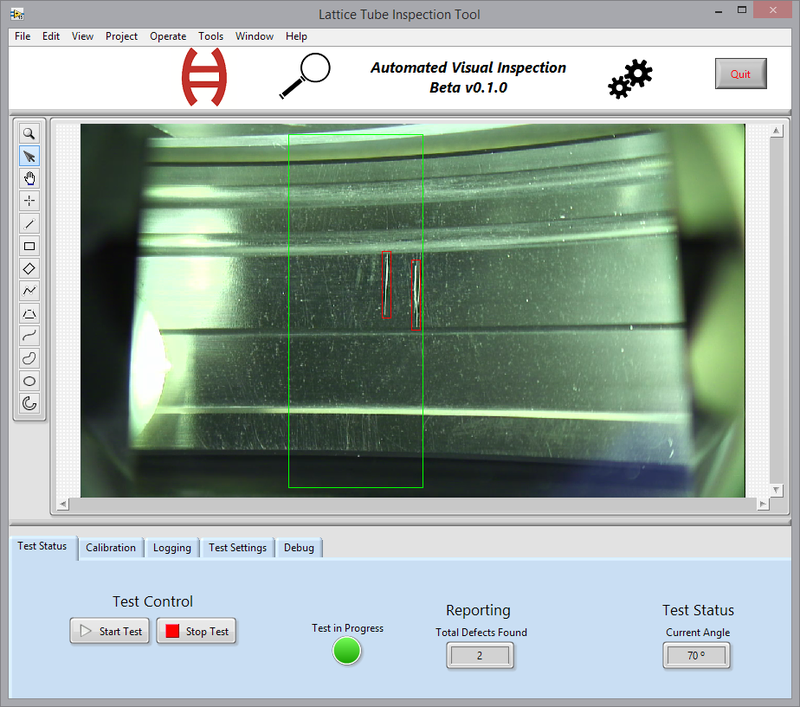 An vision inspection solution for lattice tube bores in a nuclear reactor. Our LabVIEW built application acquires the video feed and analyzes it in real-time to scan the bore for any scratches, discoloration, or defects, to ensure the integrity is intact. We handled rotation at fixed intervals and the scanning of the bore is motion tracked with the ability to dynamically resize the region of interest to account for eccentricity. The video feed is displayed to the user, recorded to file and analyzed in real time. The data is also processed from a series of captured images, into a stitched together panorama image of the bore surface for defect documentation and reporting.